With the recent redesign of “Interesting Finds”, Amazon is taking a cue from Pinterest and, maybe, from Zalando’s Fleek. “Interesting Finds” started as “Amazon Stream”, a visual feed. It was renamed to “Intersting Finds” early this year and gained a heart as the save function. Now “Interesting Finds” got curated categories. For example, the “Daily Carry” section includes toteable items like keychains, wallets, backpacks, water bottles, hats, iPhone cases and more. “Mid Century” rounds up furniture, décor, lighting and even books dedicated to this time frame. Though the product category is different, this can be compared to the other big curation experiment in today’s e-commerce: Zalando’s mobile marketplace app Fleek. For Collections and Styles, which are both, yes, collections of products, Zalando is working together with freelance stylists, fashion bloggers and influencers. 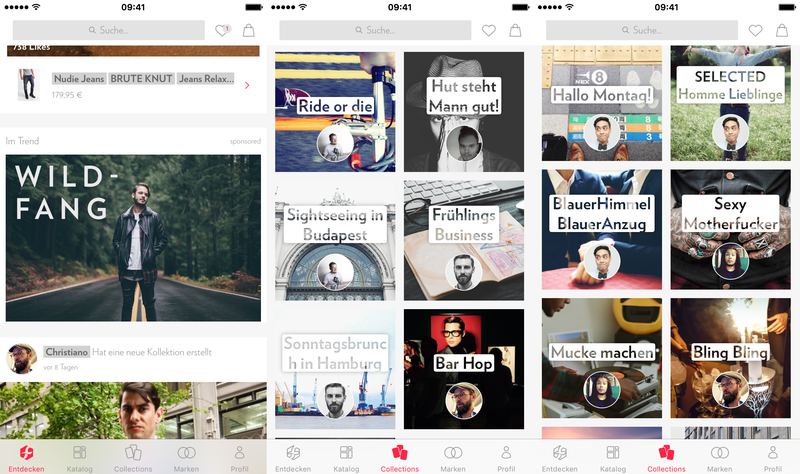 In May of this year, Zalando bought Amaze, a ‘Tinder for Fashion’ app, and in August integrated Amaze into Fleek. Amaze became the styles tab in Fleek. Amaze used to bring fashion bloggers in to curate content and, in the process, help the app gain momentum with fashionistas. Fleek is now addressing fashion bloggers to work as curators as well. It is going to be interesting to see where Amazon will go with this. Either “Interesting Finds” gets its own dedidacted mobile app (again, look at Zalando and Fleek) or the feature will slowly die off again. No feature can survive the “more from” death slot for a long period of time. And we’re not even talking about growth there. It also appears that “Interesting Finds” seems to be US only for now. Benedict Evans, an analyst at VC firm a16z, likes to say that Amazon is the Google of e-commerce but that there has yet to emerge a Facebook of e-commerce. What he means by that is that Amazon is good at intentional search behavior -you know what you are looking for- but not so much at discovery, at evoking serendipity. “Interesting Finds” could be the beginning of a sea change. But only if Amazon puts ressources behind it.